How are we as Christians called to respond when cancer invades our lives, whether our own bodies or those of our friends and family? On the eve of his own cancer surgery, John Piper writes about cancer as an opportunity to glorify God. 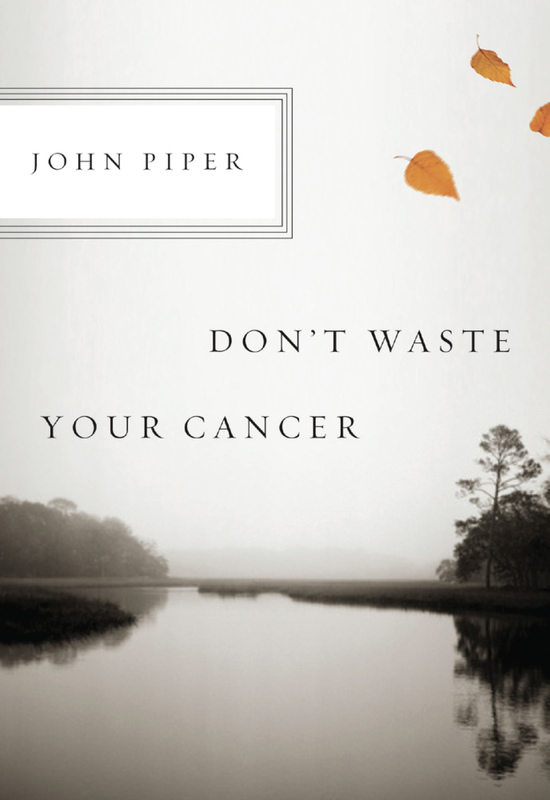 With pastoral sensitivity, compassion, and strength, Piper gently but firmly acknowledges that we can indeed waste our cancer when we don’t see how it is God’s good plan for us and a hope-filled path for making much of Jesus. Don’t Waste Your Cancer is for anyone touched by a life-threatening illness. It first appeared as an appendix in Suffering and the Sovereignty of God. Repackaged and republished, it will serve as a hope-giving resource for healthcare workers, pastors, counselors, and others caring for those with cancer and other serious illnesses. The booklets are also available in packs of ten.